What is better than this? : First time camping with the fam. 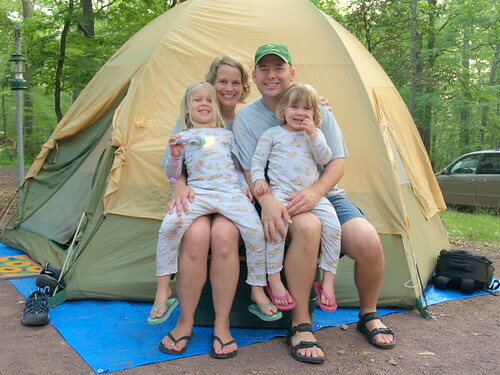 First time camping with the fam. 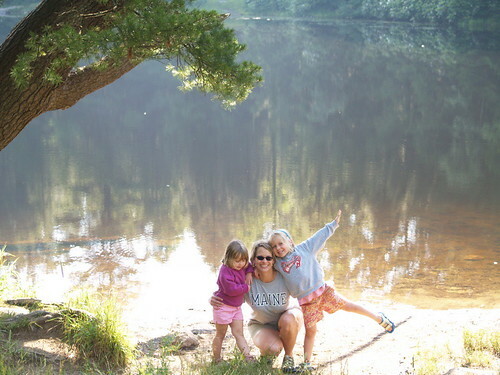 My ladies and I went to Hickory Run State Park last weekend for our first camping together. 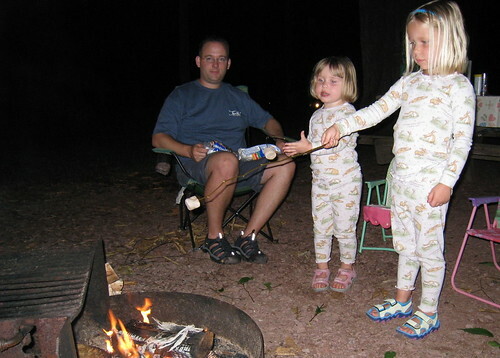 We did all your regular camping things: tent -check, fire -check, marshmallows -check, skunk -check, hiking -check. Yes SKUNK. 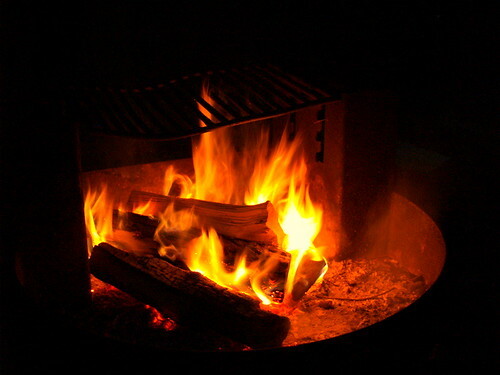 Beck and I were enjoying the fire in the pitch dark when I heard a rustling coming quickly toward us. I knew it was headed right for our camp site, so I yelled "HO!" and grabbed a flash light only to shine it on a skunk the size of a labrador. Needless to say I RAN LIKE A GIRL. The field comprises about 16.5 acres, which is 0.026 square miles. The top of the boulder layer is virtually level with the approaching path. The immense weight of the boulders has compressed the underlying soil 12 feet or more. 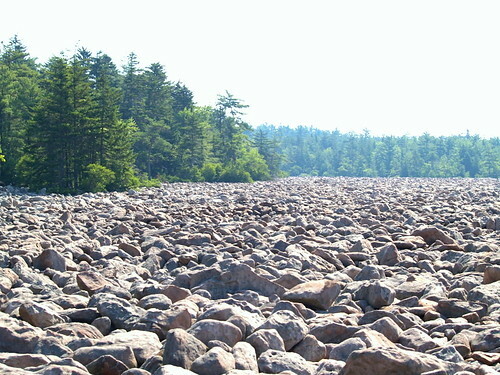 The boulder field was created about 20,000 years ago during the most recent glacial period. My understanding is that because this was the freeze/thaw line of the glacier, when the edge of it thawed then melted the water trickled down to between cracks of the bedrock and when it froze again cracked into smaller rocks. Then as heaving occurred as another natural part of freeze/thaw these boulders raised to the top of the earth. How cool is that?